WINONA, Minn. — The Saint Mary’s University Department of Theatre and Dance and the Minnesota Conservatory for the Arts (MCA) will present the Dance Repertory Company in “The Nutcracker” Wednesday through Sunday, Nov. 28-Dec. 2, at the Saint Mary’s Page Theatre. 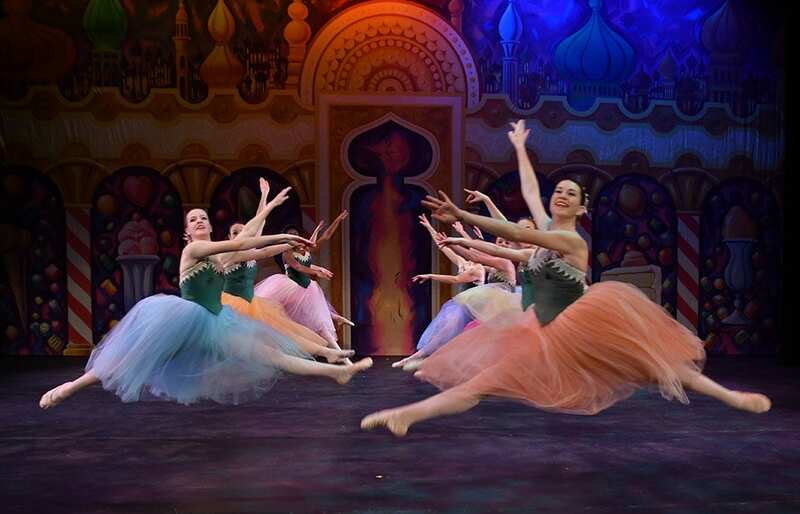 Heralding the message of peace on earth, “The Nutcracker” is performed around the globe during the holiday season. Producing this delightful ballet every other holiday season, the Dance Repertory Company once again brings this magical experience to the Winona area community for its 10th biennial production. The 2018 cast includes 103 members, including students from Saint Mary’s, Winona State University, and children and community members from the Winona and surrounding areas. Justine Meinke portrayed Clara in the 2016 production. Through this ballet, the beauty of the pure, young heart shines bright in a world of dancing dolls, angels, and of course, the wonderful magical Nutcracker Prince. In the dreams of a child named Clara, a battle wages between a band of mice and company of toy soldiers. With Clara’s assistance, the toy soldiers are victorious and grateful. A Nutcracker Prince welcomes her to the Land of Snow, where they dance with the angels, and to the Kingdom of the Sweets hosted by the Sugar Plum Fairy where she sees a beautiful array of ethnic dances such as Spanish Coffee, Chinese Tea, and Russian Baba. 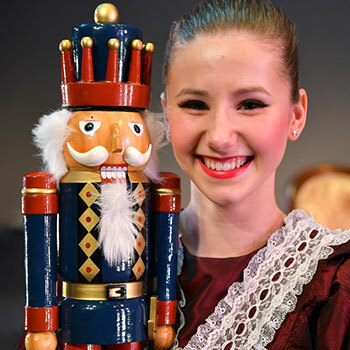 “The Nutcracker” will be presented at 6:30 p.m. Thursday, Nov. 29, through Saturday, Dec. 1, and at 3 p.m. Sunday, Dec. 2. Tickets are $12 for adults, $5 for students and senior citizens. A special abridged version, ideal for young audience members who may not be able to sit through the full-length ballet, will be presented at 6:30 p.m. on Wednesday, Nov. 28. The cost for this production is $5 for everyone. Tickets may be ordered by visiting pagetheatre.org or calling the Saint Mary’s Box Office at 507-457-1715 noon to 6 p.m. weekdays. For more information about MCA or the DRC, visit mnconservatoryforthearts.org, email mca@smumn.edu, or call 507-453-5500. The Minnesota Conservatory for the Arts, an affiliate program of Saint Mary’s University, is a nonprofit organization offering programming in dance, music, visual art, and theater. Classes, lessons, workshops, and camps are offered for students of all ages from birth through older adults at the Valéncia Arts Center. Photo caption: The Waltz of the Flowers from 2016.